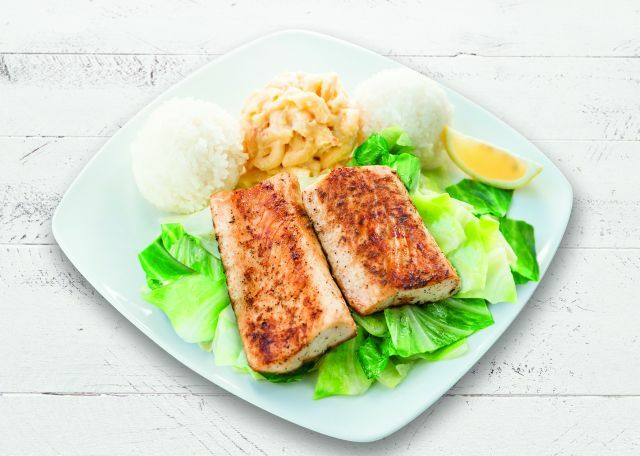 Bolstering their seafood selection for Lent / seafood season, Ono Hawaiian BBQ serves up new Grilled Mahi Mahi for a limited time. Positioned as a healthier menu option, the fish is wild caught from the Pacific onion and grilled-to-order. You can get it with house-made lemon pepper seasoning or drizzled with teriyaki sauce. 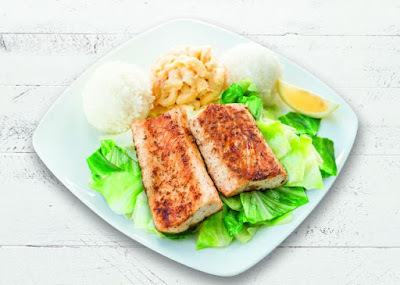 The Hawaiian barbecue chain's Grilled Mahi Mahi can be ordered as the entree for a traditional Hawaiian lunch plate or on a bed of salad. Photo via Ono Hawaiian BBQ.